The Original Girl Power! 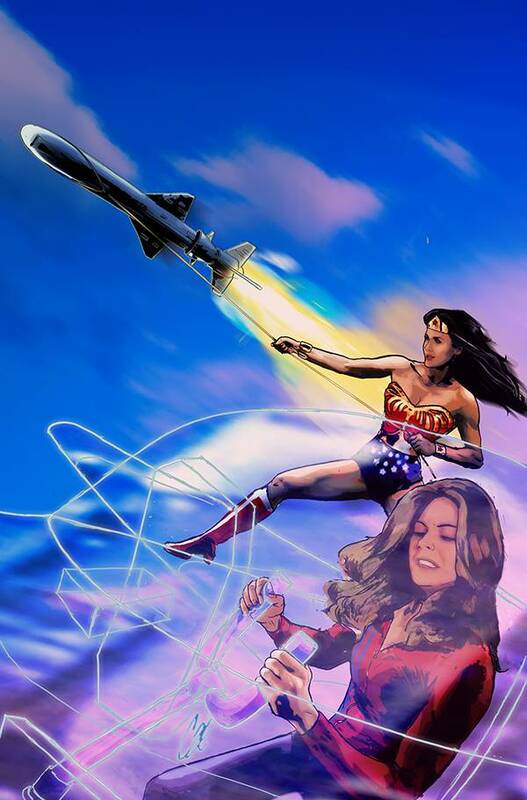 Catching a missile after its launch is the least of the trials facing Diana Prince (aka Wonder Woman) and Jaime Sommers (The Bionic Woman)! Now, their greatest television enemies have joined forces, and they're building an army for their master plan! Wonder Woman and the Bionic Woman prepare for a trip to South America - passing through the Bermuda Triangle as they go - but the villains have other schemes. All this, plus the return of Max, the Bionic Dog! Written by best-selling author ANDY MANGELS (Star Trek & Star Wars) and illustrated by JUDIT TONDORA (Grimm Fairy Tales), WONDER WOMAN '77 MEETS THE BIONIC WOMAN has set the mainstream and internet media on fire? and the publicity keeps running!